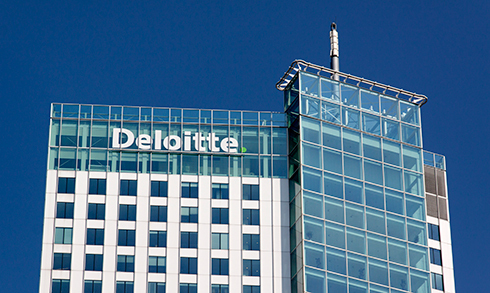 ‘Big Four’ professional services firm Deloitte has today announced it has joined two blockchain development projects, as it becomes the latest global company to recognize the benefits of the technology. The company will be joining Hyperledger, a consortium of over 100 companies working to develop an open-source framework for blockchain standards and compatibility, as well as becoming a member of the Enterprise Ethereum Alliance, which was founded earlier this year to help advocate commercial developments on the technology. Following an announcement from the firm at this year’s Consensus Conference, the partnerships see Deloitte formalizing what were already existing relationships with both of these projects. In joining these groups, Deloitte has joined the likes of IBM, Microsoft, American Express, Daimler, BBVA, UBS, Intel, JP Morgan and countless others across various industries and sectors, all working collaboratively to develop the promising technology. Analysts expect blockchain development to be hugely significant in the world of commerce, improving efficiencies and removing cost barriers in a number of different industries, with applications from finance to farming. Prior to the announcement, Deloitte had already demonstrated its capabilities with the technology, assisting several clients to develop proofs-of-concept that could clear the path for viable commercial solutions in future. According to principal Eric Piscini, the decision from Deloitte came from a drive to help form and shape the industry, rather than as a response to client-side pressures. The move will be welcomed by existing members of the Hyperledger and Enterprise Ethereum Alliance projects respectively, providing additional know-how and resources in helping shape the future direction of the technology. It comes at a time of growing optimism around these core technologies, as companies, governments and central banks worldwide begin to examine the implications of the blockchain in more depth.